The business idea for All You Seed was developed about a year ago by four students. Recently, the company launched a new crowdfunding campaign on Startnext.de. It will run from October 10 to November 17, with everyone invited to participate. 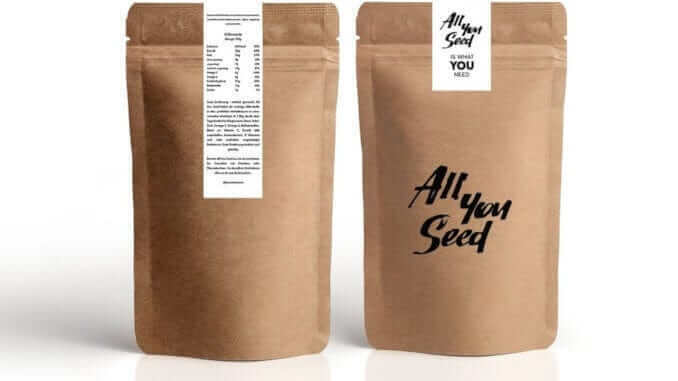 The start-up’s new campaign was launched, amongst other things, to scale up the production of All You Seed and make its products available to the public via an online shop. In return, supporters will be the first to receive the new product. The aim of the campaign is to make healthy and sustainable eating easier. All You Seed wants to offer consumers transparent products that do not contain additives. The company attaches great importance to sustainable production and environmental protection. To this end, it has decided to use as little packaging as possible and to source its ingredients locally. All those interested can now support All You Seed in its vision and take part in its new crowdfunding campaign. While the StartNext campaign runs, test packs will be sent to bloggers* and press representatives*, and the company will be open to start-up interviews, product testing and general articles on healthy eating in stressful working life. The StartNext crowdfunding campaign can be found here.